I get questions all the time about how I come up with my water amounts. I do not use a lye calc to get my water amounts. I simply use a lye calc to get the correct amount of lye to use. My standard water used is equal to 2 times the lye. So if a recipe calls for 12 oz lye, I will use 24 oz water. This is even true for advanced swirling recipes. You hear a lot “use full water for fancy swirls so that you have time to play”. I create my slow moving recipes with special mind to the oils more than the water amount. For recipes high in olive oil and other soft oils (50%+) I will use a water amount equal to 1.5 times my lye. Why? High olive oil recipes are longer to trace, softer initially upon unmolding and typically take longer to cure. Discounting the water helps with all of these issues. It speeds up trace (though still allows plenty of time to design the soap), makes a harder bar for unmolding and reduces the cure time. When I am doing a 90-100% castile or bastile type of soap I will actually use 1.1 times my lye. So if a recipe calls for 8 oz lye, I will use 8.8 oz of water. You should never use less than 1.1 times your lye. Lye needs at least an equal amount of water to form a solution. If you use less water the lye will actually fall out of solution and you will not have properly dissolved lye. I typically add the .1 amount to just give myself a bit of a buffer. Take care when working with a higher concentrated solution. Your soap will move faster, your solution is stronger which means it could burn fast/worse and keep an eye on it when you initially make it as it heats up faster and hotter. I prefer ratios and I prefer simplicity. 2 times lye, 1.5 times lye and 1.1 times lye are really easy to remember and figure out. The amount of water you use is simply a personal decision. There really isn’t a right or wrong but it can effect the way a recipe moves, sets up and cures out. 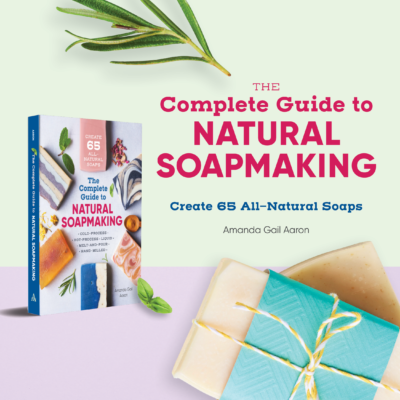 I am a soapmaker, author and blogger! 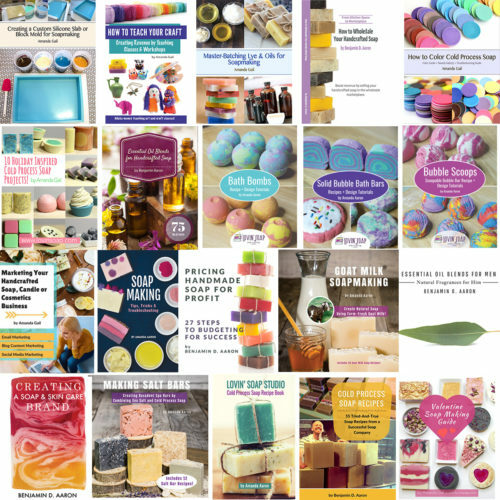 I started blogging in 2008, sharing soap recipes, design tutorials and publishing articles on various topics of soapmaking. Hi can you please advise me – my soap manufacturer give me a sample olive oil soap its proportion provided is 85% Sodium Hydroxide, 10% Olive Oil and 5% Water. Is this a good soap. Can i launch the product and give to customers? 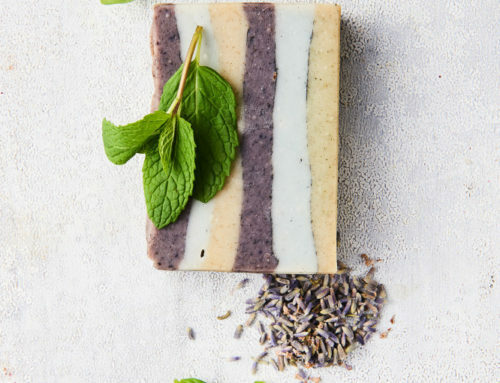 A good soap with a low pH (the closer to the skin’s natural 5.5 the better) will typically use a 1:3 ratio of oil to lye. So no, this soap is most likely VERY basic, and while it is safe to use, it’s probably harsh on the skin (it uses about 1:4 ratio). Can I add water to my hot processed soap, made in a crock pot, to turn it into more of a paste/lotion soap? Can I let it stand in crockpot before adding to bottles for use? I had such a difference in results using a 1.5:1 water discount on a soap with 33% olive oil vs 40%. In the 33% recipe, the soap was so hard after 9 hours it was like trying to cut a cracker. Had to rebatch. However, a 1.6:1 on the next soap I made where I increased the OO to 40% had a drastically different and favorable result. You can’t just throw a steep water discount at any old recipe and expect the same results, like you said it is also really about your soft oil percentages. 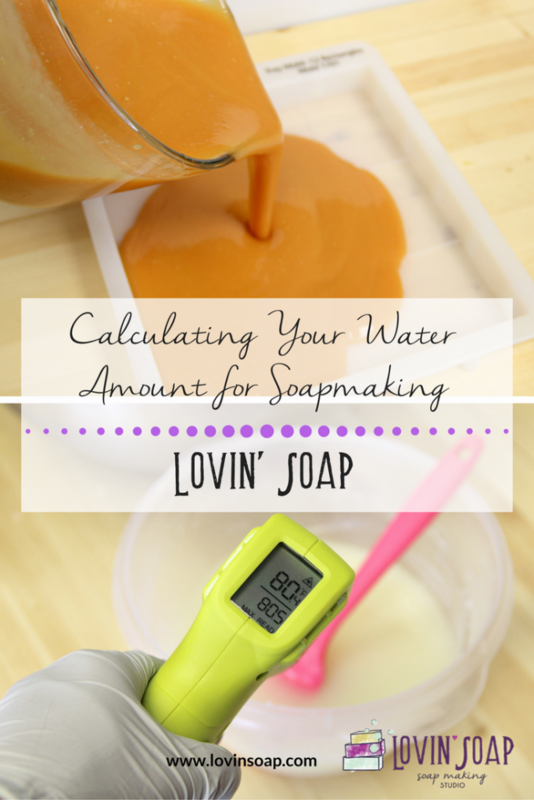 What’s up,I read your blog named “Calculating Your Water Amount for Soapmaking – Lovin Soap Studio” like every week.Your story-telling style is witty, keep doing what you’re doing! And you can look our website about powerful love spells. I use the 2:1 ratio in almost all of my soaps. But when I make my Gardenia FO soap, I need to slow things down as much as possible. My usual soaping temp is around 85 degrees. I’m not a fan of using a lot of Olive Oil just b/c of the color. So, I add Canola Oil to that 1 particular soap recipe. Other than OO or Canola, can you recommend some other slow moving oils that have a decent shelf life? 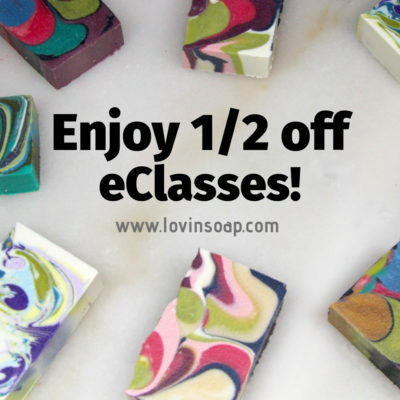 I do make 120% CO soaps but would like any recommendations you might have for oils that will slow things down. TIA & thanks for the post! Amanda, thank you. This is the best explanation of water discounting I’ve seen. I’m a newbie at cp soap, and I’m starting to realize that many of the recipes on the web are really water heavy. I understand that they want to give people enough time to work, but soft crumbly soap loaves and soda ash are really discouraging. I went with your 2:1 lye ratio and had plenty of time to do a 3 color hanger swirl with a nice design on top, and this was with a floral fragrance that’s supposed to accelerate. Yes, everything went faster, but I’d rather deal with that than the soft, crumbly soap and soda ash thought the loaf. Don’t fear the water discount! Is it just me or is this blog hard to read for anyone else? I wish the font was a little darker. It’s like a medium/light grey on white, it’s too hard to read. I used the 1.5:1 ratio in two 1lb test batches last week. The mold I used is Bramble Berry silicone square and I oven processed both to force gel, and unmold sooner. 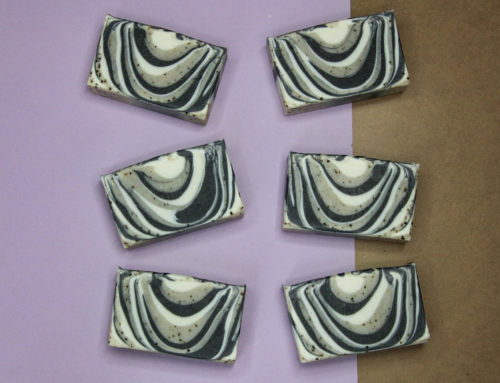 Neither soap batch is crumbly or dry and both are TN on the bottoms, sides, and middle (I cut one bar from each batch in half) but I am definitely getting zapped on the tops of the bars. I created these on 12/20 and 12/21. Since I am still in the learning phase of cp I am okay with waste at this point but I would like to understand if whether such a small batch of lye water could pose a problem in fully dissolving the lye or could it be something else. Soaped at 110 and they both took more than a few minutes to reach a light trace. Any insight you might have would be wonderful. Thank you. Hi Linda! Looking at your recipe I can’t really see anything wrong. Do your scale batteries need to be changed? Sometimes when they are low, scales can mis-measure. Did you really mix to trace? Sometimes if we don’t mix enough, we can have zappy soap. I would let it sit longer and see if it gets better. OM!. Thank you so much for this post. I’ve been trying to get answers to this for a long time. Thank you also to those of you who posted instructions on how to use Soapcalc. inas well as other information. I am making a sample batch tomorrow and will use Amanda’s suggestion. I never could understand how people were able to cut their soap so fast. They would say they used a water discount, but not say what it was. This cleared up a lot of questions I’ve had. So glad these blog posts stay up long after their initial posting. Would this be ok to do with liquid soap making too? 1. In the soap calculator, enter your oils into the fields. 2. Keep your SF at 5%, or the desired value you use. 3. If you are using soapcalc dot net, then in the field #3, select water to lye ratio and type 2:1 (or any ratio you need). That’s it. Calculate and print the recipe. Alternatively, you can completely ignore your water field in the soap calc. OK, now you have your amount of lye. In this example it’s 2.06 oz. Now multiply this amount by whatever ratio of water-to-lye. For example, if you want to use 2:1 water:lye ratio, than your amount of water will be 4.12 oz (2.06 oz of lye x 2). When you use 38% water in your normal calculations, you are computing your water as percentage of oils. Don’t do that if you want to follow Amanda’s instructions. She recommends to use ratios of water to lye, not water to oils. Thank you for your instructions. Very well written, simple, and easy to understand. I made soap following your directions last week for the first time. I was using olive oil, unrefined sunflower oil, and deer tallow for my fats. Since olive oil and sunflower oil slow down trace, I wasn’t very worried about seizing. I kept my oils/fats mixture and lye/water mixture at 100 degrees F to avoid false seizing because of the tallow’s low melting point. I used 2:1 ratio for my water:lye. I was afraid to go lower because I’ve never done it with less than 30% water. I had 25% in this recipe. Trace took some time to achieve because of the high temps. The soap is curing now. It looks, feels, and smells wonderful! Amanda , I can’t find my way to pay for your new book , I am of the impression it is already on sale , but I can’t find my way ! Amanda , ordering your book next week , can’t wait ! Hi: do you have any classes/seminars/conferences scheduled for the dallas area soon? żywnościowe i świeże powietrze do elektryczność. warzywa świeże, i produkty pełnego ziarna. pożądane głębsze wyżywienie zwykle mają wyższe ilość przeciwutleniacze, witaminy. Last night I did a small 1 pound test batch very basic shampoo bar recipe with coconut, olive oil pomace, and castor oil and water as my liquid at a lye discount of 3%. I did the 1.5 time the amount of lye,mixed oils and solution at 103 deg. It traced fine,but not as quickly at I was expecting,and didn’t heat up like you suggested. I use a wood box mold with lid and even wrapped in towels and still it did not gel,which I found odd. It looks nice and is normal other than not passing zap test yet but it’s been only 12 hours also. Should I have mixed oils and lye solution at a higher temp, if I want it to gel? And because this is so low on water is it going to zap worse or for longer than normal? At 24 hours, with normal method I can umold pass zap test and cut. I meant 1.5 times amount of lye for my water. Hi ! I want to start new business of soap in pakistan , i have confusion about the recipies of bathing soap , laundri soap nd pot wash soap ,I have also confusion about the water ratio for oil nd lye , pleas email me some good recipie for 2.pound , 3.pound , 5.pound soap .can i add extra water after mixing of oil nd lye , or at start for lye solution the water is suficient . Also inform about the hot nd cold process . Email me some qualitiy recipies with clear example on shamasbm@gmail.com. the 1.1 ratio of water-lye is avalable for liquid castile soap too? What would the suggested water/lye ratio be for liquid soaping? I just made my first batch of liquid soap and it turned out pretty good…a bit cloudy but for personal use, it is fine. I used a 2.5:1 ratio for that batch. Is that what you would suggest…even for single oil soaps? Thank you. What temps do you typically soap at? Do you use CP, or CPOP? I am soap making newbie and would appreciate some advice on the following.. I tried a new recipe with the following: Olive oil 38%, coconut oil 28%, castor oil 6%, palm oil 28%, lye 1.7 oz, water 3.9 oz which yielded 17 oz of soap. I mixed oils and lye at 110 F. I poured the contents after getting a trace in to wooden mold lined with freezer paper and allowed it to sit for 24 hours in a cardboard box wrapped in a cloth. While attempting to remove the soap from the mold and while cutting the soap appears to be sticky and not completely dry. So does this mean that I need to let it dry for longer? Attempt a different way of drying the soap? Should I change/percentage of oils OR Water? My previous attempts with other oils has also resulted in soaps which are sticky even after 48 – 72 hours of drying. Hi: Last night I did my first batch & seems that I made a LOT of mistakes. A lot of soft oils and the ratio of water… don’t really want to talk about it …lol. Now I have a really good smelling playdough and I have no idea how to fix the BLOB.. I don’t want to throw it away cause my daughters( 7&6 yrs) are so happy that they helped me and the BLOB are their baby…What can I do..PLEASE???? This was very helpful! I have a question, though. I have a small mold that gives me the size bar I want with a 1.25 pound recipe. I currently use 2.5:1 for lye. If I dropped down to 2:1 or 1.5:1, will it make for a smaller bar of soap? My goal is to get a bar of soap that is the same size as 2.5:1 gives but weighs more after curing. Thanks for your help! Raw, dry, compressed soap has a lower density than water. If you have less water, then your bar of soap at the same size will weigh less, but last longer. Soap is 0.932g/ml and water is 1g/ml. Thank you. I’m new to soaping and your site has been very helpful. The water in the recipe not matching the lye calculator was confusing me. My last soap was very soft the next day and it had water to lye ratio of 2,78:1. I’ll use your method next time and make a 2:1 recipe. Thank you for the advice. 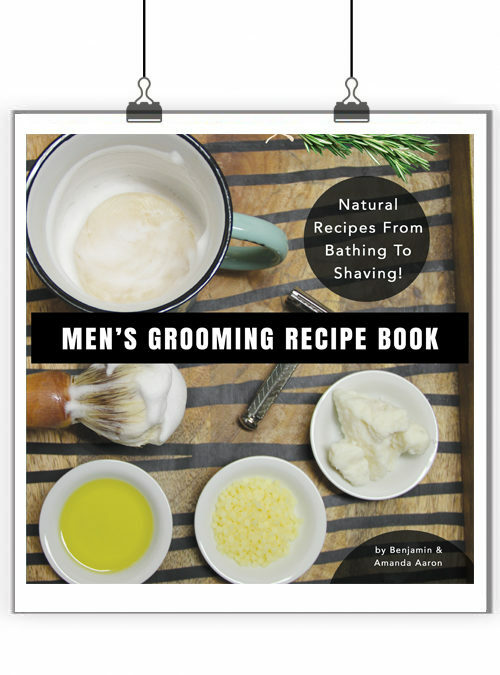 I guess I am not finding in my research how to figure out the amount of coconut or goats milk to use in a recipe. It’s not something that I can add to the calculators like soapcalc to help me figure it out. Sorry, my edits said “check the container” but that was a thought tangent about calculating calories. Really, no adjustment for milk is needed. You might adjust for heavy cream (mimicream?) if you were making a big batch. If you’re still worried, consider that it’s roughly 1 gram of lye for every 75 calories. That’s probably less than the measurement error any of us has in making a batch unless it’s really high-calorie milk. Note, that’s a rough estimate. Short chain fats like stearic acid would want more lye, and long chain fats want less. It’s basically 3 moles of NaOH for every 1 mole of triglycerides. The Na bonds to the fats, and the OH bonds to the glycerol (glycerine). Carbohydrates would vary a lot more depending on the sugars and starches invovled. Yup, I flipped it. Though, none of the fatty acids we use for soap are formally “short” either. Double whammy. Stearate does count as a “long” chain by 2 carbons. But the context stays the same, in that the longer the aliphatic tail, the higher the molecular weight, and therefore lower amounts of reagent (by moles) are required to convert a given mass. I am new to soap making. I am doing a lot of research so this question may be really silly but What if you wanted to add coconut milk to your recipe? Does that change the amount of water used in your recipe to dissolve the lye or do you treat it as an additive? I hope that makes since…. Check the container. Probably not. Our coconut milk is something like 4 grams of fat and 6 grams of carbohydrates per 245g of liquid. That’s less than 0.1g of lye to adjust. The main thing to do is to keep the temperatures down while mixing the lye. If it gets too hot, it can scorch the milk or boil over on you.. The calories in the milk will all try to react when you add the lye, so either add slowly over several minutes, pre-chill the coconut milk (semi-frozen slushy), or mix it while it sits in an ice bath. The same thing applies to wine soaps, except assume that 13% of the volume is alcohol, not water, and will evaporate very quickly. Add extra wine to compensate, and again, mix slowly so you don’t overheat from the sugars and boil over. You can also make a lye solution with lye and water being equal parts. Then add the same amount of milk to the oils before you add the lye solution. Thanks so much for all of your responses to my questions. It’s been so helpful for me. I’m loving this site! Stupid question? Do you take a lye discount before calculating water amount? 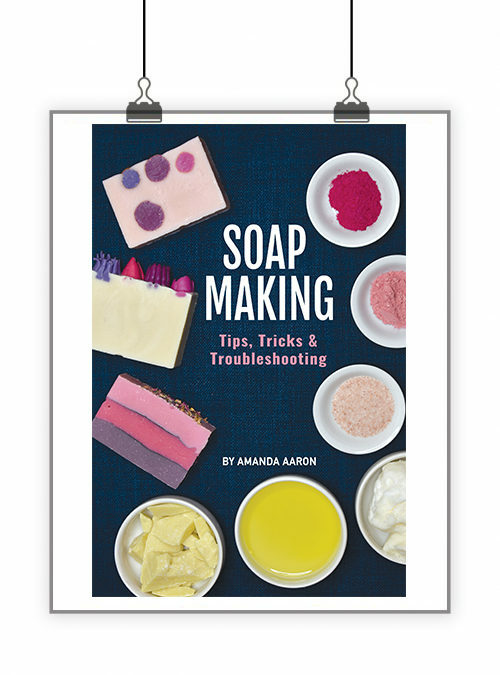 Hi Amanda, I wound up with soap on a stick when I did the Rice Bran recipe you gave us. I really don’t know what went wrong but it became really warm in my containers and the worst thing or maybe the best thing depending on how you look at it is that I never even got to add any fragrance. I really don’t know what went wrong but I am going to rebatch it today. Thst was some experience. Thanks for the recipe anyway. The only thing I did was the water discount you recommended with the recipe. Hi Angela! Hmmmm that is interesting as this recipe is usually pretty easy to manage. Perhaps your lye and oils were too hot? Heat can makes things move fast. Also, what kind of olive oil did you use? Pomace can make things move fast. I usually use Grad A regular olive oil. 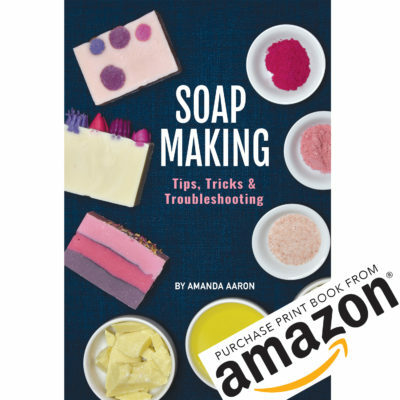 Hi Amanda, I made soap yesterday using your calculations but Im not sure I did it right. My recipe was 70% olive oil and 30% coconut. I used soapcalc’s calculator. I put in water:lye ratio box: 1.5:1 (I also did it leaving 38% in water as % of oil) and then multiplied that by 1.5. Each time I came up with 64.552 grams of lye (2.227 oz) leaving me with a calculation of 64.55 x 1.5 = 96.82 grams water (3.416 oz). When I unmolded it this morning it came out easily but when I tested it with phenolphthalein solution, it showed pink and the bars are whitish and a bit crumbly on all sides and edges. I noticed that I did take a 5% superfat discount too. Im now thinking its lye heavy because I took the discount in addition to the 1.5 calculation. So I guess my question is: when calculating our water amounts in soap calc, do we leave in the 38% to get our lye amount and then multiply from that number and NOT take an extra discount? I’m not sure I’m exactly following what you did. Can you send me the whole recipe including oils? If soapcalc gave you a lye amount of 2.227 oz then you should have multiplied it by 1.5 to get your water. It gives you 3.34 oz. There can still be active lye in day old soap especially if the soap did not go through gel phase. This can also make the soap crumbly. I just tested again with the solution and it didnt turn pink. So I now think that due to my small batch size it didnt gel (in fact I recall now that when I checked on it an hour or so after pouring that it wasnt as warm as I thought it should be) and this is what caused the outside to be white and crumbly, and that its ph tested too high because I used phenolphthalein solution too soon after unmolding (that day in fact). Thank you for your response and for all your good information. I have a question on lye: water ratio too. I wanna make baby soap. So my olive oil is about 60%. What’s the best ratio I should do. I usually do a lil more for my normal soaps. I was wondering if 2? should be fine? or less? No Amanda, Marion meant to type 2.277 oz of lye…..typo error. Thank you! What happens when you use aloe vera juice in place of water? Does the ratio remain the same? I actually haven’t tried soaping with aloe vera juice yet. I’ll have to give it a go. Can you pls help me up with a simple recipe for soap making for my daughters school project using lye olive oil fragrance and water a small recipe which can make at least 2 regular pcs of soap. Thank you for posting this. Now that I am working on my own formulations I began questioning how I could better account for the amount of water I used. its in my favorite websites…..
Can this calculation apply to milk solutions? Happy Holidays! Thanks so much for the great information! I love the way it simplifies things. 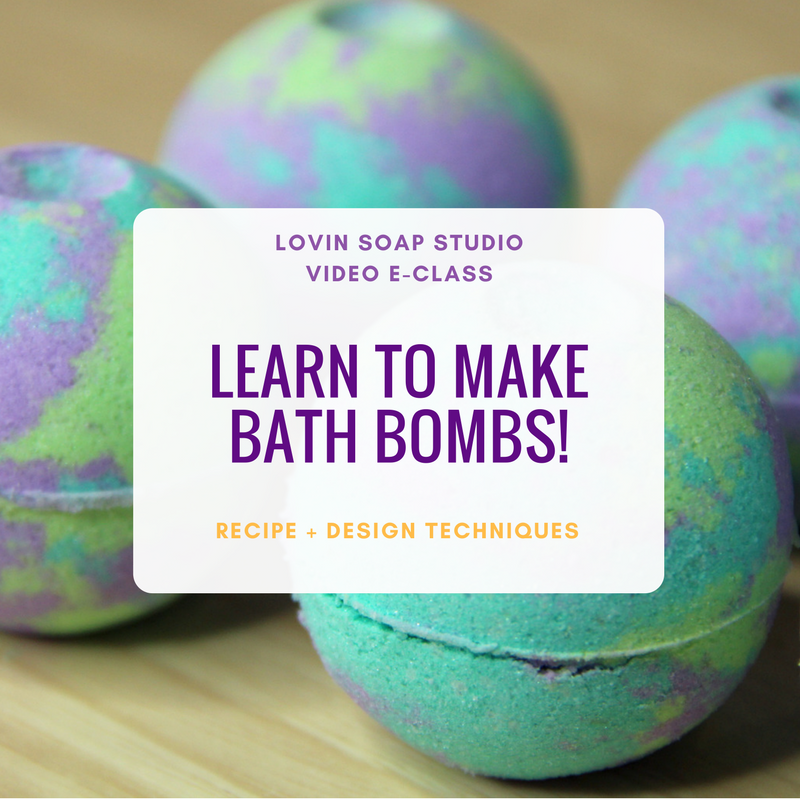 I have tried it on the last eight batches I have made and it worked great! What a great post, Amanda! I’ve often got that question and I think your post really nails it on the head for soapmakers. Thank you so much for this informartion. Finally!! You have the best information and instructions on soap I have seen. Wish I lived close enough to take one of your classes. Thank you so much for this valuable information. Brilliantly said! Solution/oil temperature can also make a difference in workability time without increasing water. Very useful post!!!! Thanks a lot!!! Very helpful post! Thanks for sharing your experience. This is interesting and I will try it. Will this also work for hot processed soaps? I use a ratio of 3:1 or 2.5:1 (water:lye) for hot process just because some of it evaporates during the cook. HP seems to only lose about 7% of the input water per hour of cooking (180F double boiler). Out of impatience, I decided to try HP with water discount. 1.1:1 seemed intimidating, so I used 1.3:1 in a 6 pound batch. This was 2400g oils, 293g NaOH, 384g H2O, 60 grams of additives. Superfat was 11% per soapcalc, but based on moles and weights, it was closer to 7%. I still need to measure the pH to confirm exactly, but I’m expecting high nines. It was my first time to discount below 2:1, and it was a game changer. It ran WAY hotter and much faster. Overall though, this was great. The soap is so much more firm. I cut it at 3 hours, and at 9 hours, it’s harder than my 4:1 soap that’s been cooked 3 times and cut for 2 days. (4:1 was an error in late water addition). Next DWHP, I’ll stir immediately rather than putting the lye pot in the sink. I won’t use additional heat once it emulsifies. I’ll start working on the color/scent additives at early oatmeal rather than stirring it again. Lastly, I won’t use my stick blender as a spoon against the volcano. 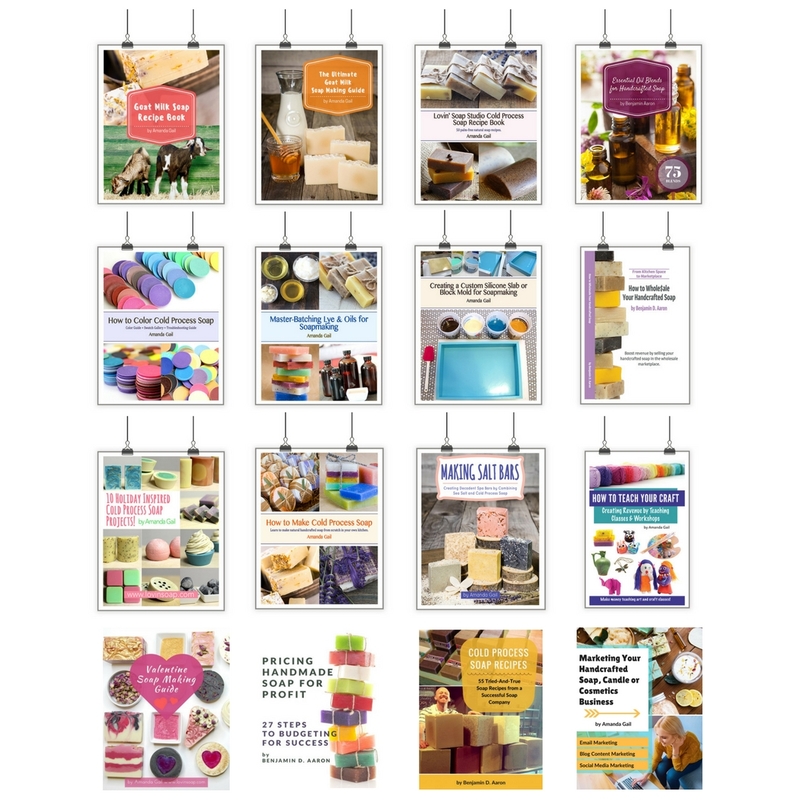 Ultimate Soap Maker eBook Bundle!